I want to work in a flower shop, what commercial flower courses do Kay's Flower School offer? Funeral Flowers and sympathy tributes are the bread and butter of any flower business. This module is essential to anyone looking to work or gain work experience in a flower shop. You will learn how to make an array of professional funeral & floral tributes. Included in this module is also designing your own flower-shop, stock control, dealing with undertakers, marketing and selling your floristry skills. An introduction to the world of weddings and Bridal Flowers. This module will see you learn how to do an array of different style wedding bouquets suitable for both Brides & Bridesmaids, buttonholes, corsages & flower girls accessories. On completion of this Beginners Bridal Course, we would be confident in your knowledge & skills that you would be able to design the flowers for a small wedding. Bring your Bridal Floristry skills to the next level. This Advanced Wedding Flower Course is suitable for those who have a knowledge flower arranging. During this course you will also learn how to decorate any venue using flowers. Table Garlands, Arches, Topiary Trees, Candelabras are just some of the designs covered on this module. ON COMPLETION OF EACH Commercial Flower Courses MODULE YOU WILL RECEIVE OUR CERTIFICATE WHICH ARE NOW NATIONALLY RECOGNISED ACROSS THE COUNTRY. Our flower courses are completely hands on, you do most of the work under the guidance of your Qualified Tutor. The Flower Arrangements you make are all yours to take home and the only thing you need to bring to the flower school with you is a Florist Scissors, a Camera & a notepaper and pen. You will be supplied with comprehensive course notes for each module so as to keep note-taking to the absolute minimum. Commercial Floristry is working with flowers for the love of them but mostly as a business to make money. Knowing how to cost flowers going into an arrangement or a wedding bouquet. Kays Flower School is proud to be now recognised as Ireland's leading commercial flower arranging and floristry school. 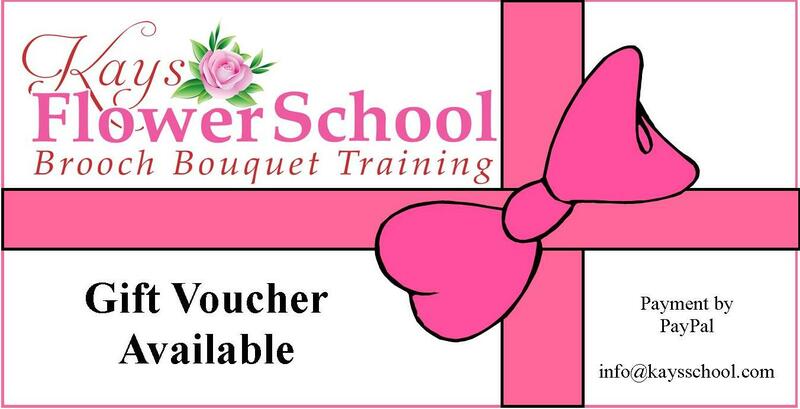 Over 80% of Flower Shops in Ireland have come through our school at some stage in their training.